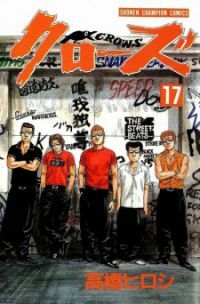 Sinopsis : Bouya Harumichi is a new transfer student to Suzuran all-boys high school, a place where only the worst delinquents assemble. Due to its large amount of delinquents who are hated by the general people for their inauspiciousness, similarily to crows, it is also known as “Crows high school”. Harumichi is an insanely strong fighter but has a irresponsible personality, how will he act in this new environment where every one is a deliquent? There are 3 extra manga stories related to this series. BH007 Note: This IS the prequel to worst.